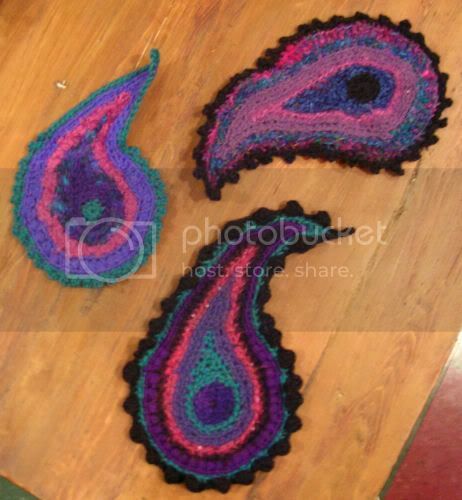 Here are the freeform crochet paisleys that I made for the exchange. I'm so excited that I finally finished them. I will send them out to the gal I'm exchanging with tomorrow morning. The idea was to create 3 FFC paisleys, using any yarns and colors to exchange with someone else. The gal that I'm exchanging with hasn't sent hers out yet either, so we ought to get them sometime in the next few days. I'm looking forward to round 2 in the exchange. I love this sort of thing.